In past few years, we have witnessed a steep rise in machine learning, deep learning, and AI-based real-life applications. All of these indicate that Enterprise AI is going to be one among the biggest technology revolutions we have witnessed in a while. Having said that, there’s still a long way to go as both technology and its adopters are in early stages of maturity. 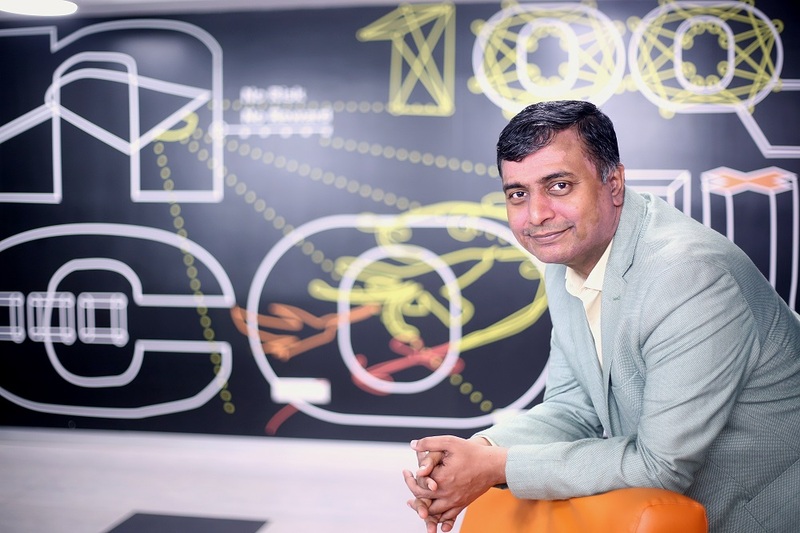 DynamicCIO.com spoke to Madhusudan Shekar, Head of Digital Innovation, Amazon Internet Services Private Limited on a variety of issues including the technology maturity, real-life innovations and future of enterprises with AL/ML. DynamicCIO (DCIO): One of the key sectors leveraging AI to its maximum is BFSI. Also, there have been quite a few adoptions in the Fintech sector. What have your learnings been, especially in context of this segment? What are the challenges, and what do you think will be the next course of action? Madhusudan Shekar (MS): When you look at the world of machine learning (ML) and artificial intelligence (AI) in India, there is adoption and application across sectors and it’s not confined to financial services. Let’s understand what are businesses trying to do with it. Primarily, they are trying to address the issues around customer experience. How can they make customers buy, experience and use products, and ensure there is no churn, but instead, they are able to retain them? The second area that we see companies focusing on is overall cost reduction besides just operational cost. How do businesses improvise the bottom line? What can they do to make things easier? I would like to share the example of Policybazaar.com. They built a fantastic solution called PB Connect – a conversational bot through which they are able to communicate with the customers. As part of a policy-buying process, you miss out on certain documentations. The company reaches out to its customers and ensure they buy the policy and don’t dissuade due to lack of documents. They have built enough capabilities to bring a certain level of consistency, mechanics that takes customer experience many notches up. By using AI-enabled bots, they are able to automate a number of the extremely mundane tasks, and elevate their workforce to do higher quality of work. The workforce is now more focused on the complex customer conversations, and provide them personalised solutions. That’s where AI has played a critical role. It’s a direct cost saving because now that the employee is happier, s/he will serve better. You don’t have a churn, which means you retain them for longer period. It helps your overall bottom line and boosts employee loyalty. On the other hand, your customer experience improves because you can reach them at the right time, in the right way and have the right conversations. That’s the biggest advantage AI brings to businesses today, cutting across the industry sectors. DCIO: When it comes to technology adoption, the CIOs have to consider ROI first. They also need to know how long will it take to implement such solutions and how can they leverage their in-house resources and so on. How do you see these issues getting addressed? MS: There’s a classic question: “What is that AI make cheaper in context of business?” What AI makes cheaper is prediction. Right? How do you forecast your business? How do you know something is going to happen in your business? How do you predict what’s next? The way businesses do it today is sit in a room and discuss. But in an AI-driven approach, if you have the right data sets, and you have built your models correctly, it can help you do it all better and cheaper. That means you can now focus on business and spend more time with customers. So, the ROI is pretty evident here, isn’t it? The challenge is not about the ROI of AI or any technology. The challenge is how to get there. The challenge is in predicting correctly. 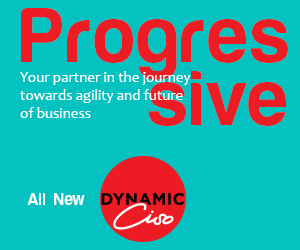 While there are a lot of industry best-practices, but we still see CIOs struggling with adoption of those practices and how to industrialise and adopt them in their organisations. If you look the AWS stack, we have the whole construct of AI services. Whether it is visual capabilities using Amazon Rekognition, voice capabilities with Amazon Polly, transcription from voice to text with Amazon Transcribe, comprehension of content which is unstructured data to structured data with Amazon Comprehend, there is a full stack. We recently launched two more fundamental capabilities. One was personalisation that enables companies to recommend and target customers. Second was forecasting. These include the recommendation and personalisation engines and forecasting models that we used in Amazon. We have instrumented and built the model, and used our data to construct it. You can bring your data, train your subsets and then build your own endpoint API and simply get going. It’s like building your own ERP solution. Does that not give a great ROI? DCIO: What’s the acceptance for this kind of solutions? What’s AWS’s approach for breaking the old mindset and replacing it with a fresh one where CIOs build their own tools and you providing them a platform? How do you manage data? How do you version your models? How do you go through the process of training? How do you control the data flow inside the organisation? All of this is now supported by AWS SageMaker. With it, now you have the ability to say okay, these are my training models I want to build. These are my notebooks. It is a completely hosted environment, which you can scale out. You can do distributed training. All of this enables companies to take a very structured approach to the world of data science and ML and AI. AWS supports both supervised, unsupervised, and reinforcement learning today. Businesses take it forward from there into building end-to-end solutions and can scale it out as per need. We are seeing that happening. I see startups that are experimenting with it too. DCIO: While startups are the apt segment to adopt it, but do you think enterprise customers are also as willing when it comes to adopting technology tools like SageMaker? MS: Certainly. It’s not just about SageMaker, which is a managed service. Many companies use deep learning because they have the legacy of building it with a different approach. They use Amazon learning AMI – a readymade solution – that works well with already installed frameworks. They can actually bring their existing work as is and continue doing what they were doing it. That is the traditional way things used to happen. Now, by bringing it to the cloud, you can scale it out. There are much simpler, more industrial, commoditised mechanism of achieving it. World over, we are seeing a rapid adoption of SageMaker by the enterprises. Even in India there’s a lot of experimentation going on. I may not be able to quote specific customers because of non-disclosure agreements you’ll soon see them coming out in public domain. DCIO: Is there enough awareness in India about this kind of solutions? MS: SageMaker has been there for over a year since its launch. Customers, who have adopted the platform, are already wired into our ecosystem. They are familiar with it and are ready to go. The market is continuing to expand with respect to the newer customers in both organic and inorganic ways. We have a number of outreach programs, workshops etc. to create awareness. Personally, I, as the head of digital innovation, try to understand from CIOs what business problems they are trying to solve. We take a very ‘Amazonian Approach’, which is: Start with a problem and see what are the right tools to solve it? AI helps along the entire path and in a number of different ways. Another aspect that we drive through our programs is the ability to use the Amazonian method of innovating – the way we innovate internally. We are willing to teach and work with customers to innovate in similar fashion. DCIO: Apart from the BFSI, which are the other sectors that can benefit from these solutions? MS: Every industry is going after innovations based on ML/AI technologies. Apart from the financial services, there are industries like healthcare, manufacturing, automotive, travel, hospitality etc. that are experimenting with AI/ML and have seen success. Take Ixigo, for example, in the travel space. It has brilliant solutions build on ML that enables optimise their cost of being able to identify what fares customers should pay, what hotel rates you have to add, etc. They are able to operationally bring their controls down, which supports the ability to pay lower prices. If the cost comes down, you are going to pay lower prices for the fare of the ticket or the hotel room. Ixigo does that. That’s travel and hospitality. We see similar examples in media, sports and entertainment sectors etc. I cannot imagine an industry that’s not benefitting from these technologies. DCIO: What about the retail industry? MS: Absolutely! Retail is a given. There are a number of areas where you can control things. For example, predicting your in-bound orders, forecasting your in-bound orders, understanding what your inventory level should be in the supply chain. All these areas are constantly being investigated and improved upon. If you look at the retail industry today, many of them are using ML-based forecasting algorithms to understand what inventory levels to maintain. Because that’s the only way you can understand how to run a profitable business. To maintain an inventory level, you have to place an order outside. You have to get the product and you have to stock it and then it goes out. A lot of such innovations can be done through AI/ML. DCIO: If we conclude with an overarching question on innovation, where do you see that shifting? Especially, the innovation related to AI and ML in terms of actual enterprise solutions in India, evolving over the next 2-3 years. And what role does AWS see for itself? MS: I would say although we’re in early stages of innovation it already looks so promising and you can feel the buzz. A lot can be done in terms of effectiveness, capabilities, improvements, optimising the business using AI/ML. We foresee a clear roadmap of capabilities. From our side, we would want to provide the necessary tools and services that make it simpler and easier for customers to build upon. When you’re innovating, the most daunting fact that stumps you is high rate of failure. While failure is a given, we want to make it really inexpensive for companies to fail. If you try something 100 times, you are going to fail at least 50 times. If you are not failing enough, you are not trying enough. The key to innovation is when you can do it with lower risk, and at a lower cost. That means you can try more, experiment more. This is where we want to empower the enterprises, developers, and start-ups. We are building tools and solutions to enable them to do that. We have launched an extensive array of services using AI/ML technologies. Whether it’s computer vision, voice, text analysis, comprehension, personalisation, or forecasting, we are there. On the top level, we have a suite of managed services. We cover the full gamut of supervised, unsupervised, reinforcement learning. These tools will continue to grow and expand. We have also got Amazon SageMaker Ground Truth, which helps in labelling data. That means you can leverage an external organisation or an army of people out there who can help you label your data correctly. You can choose, which way you want to go and then build what you want to. And I think there is a phenomenal scope out there in the market.